The sister of Remi Plesel, the French co-pilot of the doomed AirAsia flight QZ8501, said that aviation was his passion. Paying tribute to Plesel, his sister said that he was an "excellent" pilot who had dreamed of flying as a boy. She said that it was his dream to become a pilot since his young days and the dream came true. Around six bodies have been recovered from the sea along with the debris from the missing AirAsia plane, authorities confirmed. The images of a floating body were broadcasted by a local television channel. Djoko Murjatmodjo, an Indonesian official said "For the time being it can be confirmed that it's the AirAsia plane and the transport minister will depart soon to Pangkalan Bun," News.com.au reported. He said that based on the observation by search and rescue personnel, significant things have been found such as a passenger door and cargo door, adding it was in the sea, 100 miles southwest of Pangkalan Bun. 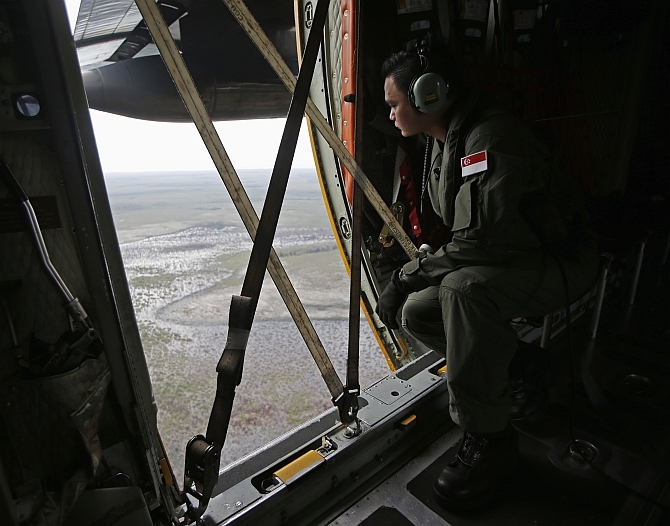 Meanwhile, search teams scouring the Indonesian waters for the missing plane have been focusing on a patch of oil in the sea that may help find the ill-fated jet. Earlier, Indonesian officials said the search for missing AirAsia flight led to the discovery of objects resembling an emergency slide, plane door and other parts of the plane. At least 10 big objects, along with small white-coloured objects, were reportedly sighted by the search teams. The position of the debris is said to be 10 kilometres from the point where the plane lost contact with air traffic control.